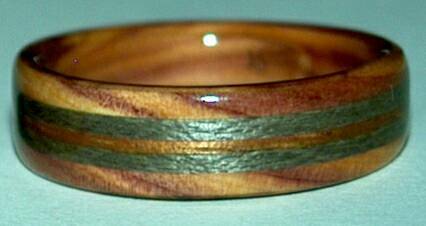 These juniper heartwood wedding rings have 2 inlaid bands of greyed maple wood and a center inlaid band of golden koa wood. these rings are 6mm and 7mm wide respectively. They have very slight tapers.